We are making it official! Take Me is here and it brought a giveaway and lots of fun activities to the Countermeasure Series Facebook Page. With his wife away on business, Trevor is spending his St. Patrick’s Day alone. Or so he assumes. Cassandra can’t wait to surprise her husband after a long week away from home. But when she arrives, it appears Trevor is not there. Will her early return be a waste? 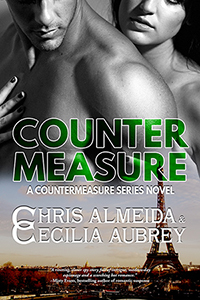 You loved Trevor and Cassandra in the Countermeasure Series books. Peek in for a glimpse of how married life is treating them. This Bit is sure to have you looking at your dining room table differently. Now that you know a bit about the book, here's the Rafflecopter giveaway! Participate through the week for one chance in five to win a signed Ecopy of Countermeasure. It’s Monday and I’m jumping for joy! No, I’m not losing it…well…maybe a little, but that’s not the point. The point is that we’re only two days away from the next episode of Vikings! I drew a big blank today. Not while writing, but while talking to my mother. You see, I’ve lived in Canada for over 15 years and interact in English via written or spoken form daily, for an average of eighteen hours every day. As much as my mother and I are in constant contact, the number of hours we actually talk each month pales in comparison to the time I spend with Cecilia on the phone every single day. As strange as it may sound, the constant contact piece is what led to my blank today which in turn has a connection to my writing habits. It’s a long winding road, but I’ll get there. Bear with me. There has been a lot of talk about how liking a page on Facebook doesn't necessarily mean followers will receive all updates by that page. 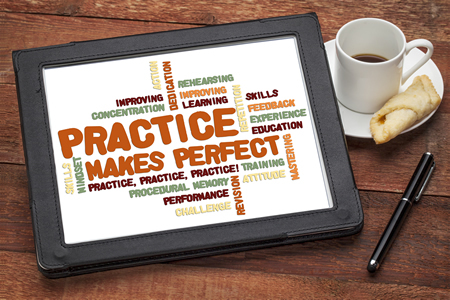 You might miss seeing a lot of interesting, time sensitive, and relevant updates by pages you already liked simply because you've skipped a couple of important steps. Wow. I’m not kidding when I say that time flies when you’re having fun. I just realized that Countermeasure was released a little over two years ago. January 12th, 2012 was a big day for us. Not only because we were releasing our first novel but also because we were taking the big step of going indie. And, as with most new indie authors, we were cutting the costs of production by tackling every single possible aspect of publishing we could.